Timelessly elegant, these 9ct gold earrings are set with shimmering cultured pearls with a diameter of 7mm. 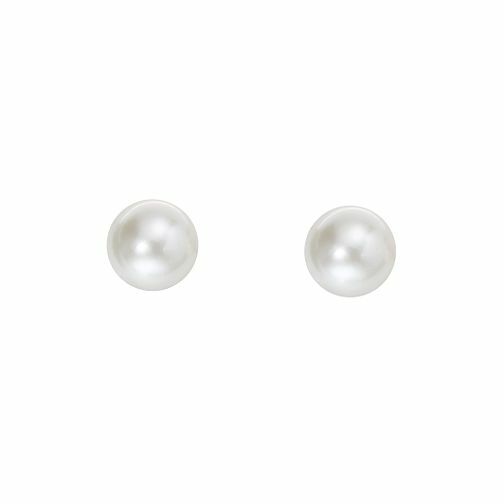 9ct Gold 7mm Cultured Freshwater Pearl Stud Earrings is rated 5.0 out of 5 by 3. Rated 5 out of 5 by Anonymous from classic..timeless..chic I bought these gold pearl studs as a 50th birthday gift. The recipient was delighted...as was I with the quality and value for money. Rated 5 out of 5 by Anonymous from Look really nice on Bought these earrings for my daughter for Christmas. She loves them and they look great on. A good size too- not too big or too small and they will go with just about any outfit. Great for work or an evening out.